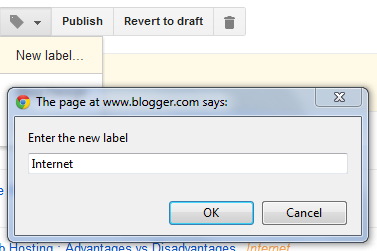 What are Labels in Blogger? Blogger is developed by Google. So Labels are nothing but goggle's way of saying Categories. In other words, LABELS = CATEGORIES. I will show you how to add labels to your posts.